If you've ever had a young child in your home you know that potty accidents are a guarantee. 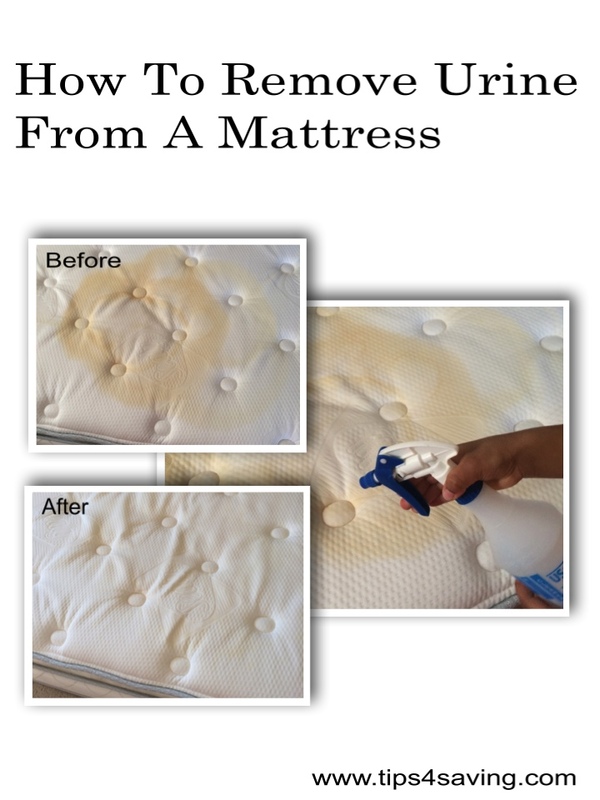 Night time accidents can become an issue if you are not properly protecting your child's mattress. 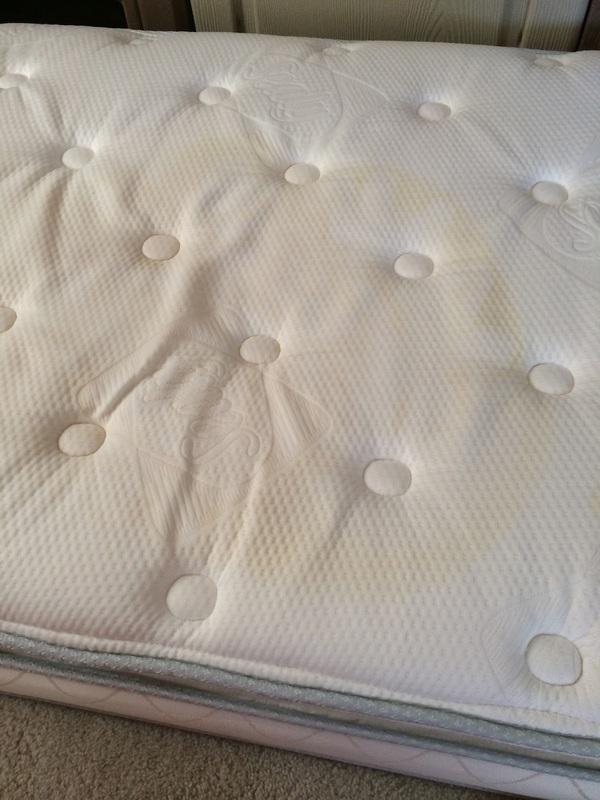 We had purchased a hypoallergenic "water proof" mattress protector for our sons bed, but turns out it did absolutely no protecting. 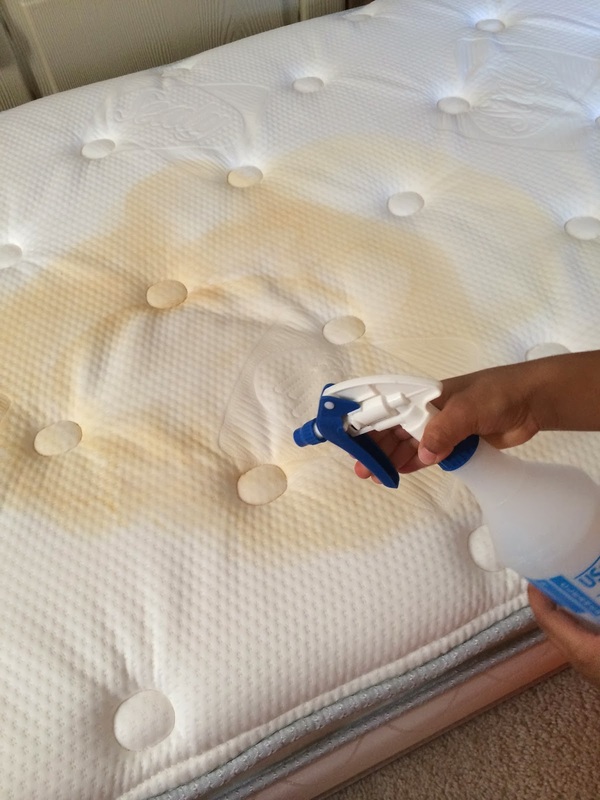 Before purchasing a new mattress protector we had to first clean the mattress. Then we made sure to purchases a Premium Mattress Protector . We made sure to purchase one that was 100% waterproof and had a warranty included. 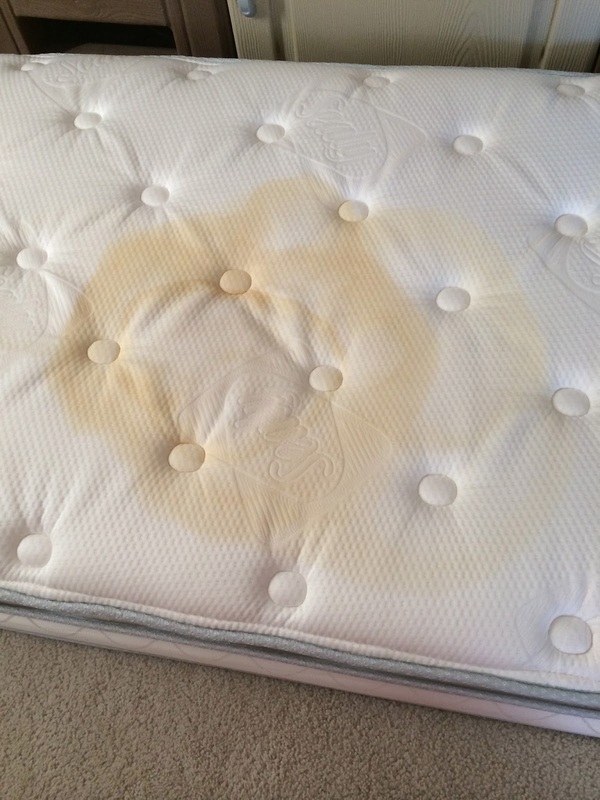 If you haven't had a chance to protect your mattress yet here is our simple and cheap solution to clean urine from a mattress. Carefully mix all ingredients and pour into a spray bottle. Spray the urine stain and watch as the stain disappears before your eyes (or within the next 5-10 minutes). Our stain was pretty bad so after I sprayed and waited, I sprayed a second time a rubbed it out with a rag. I then opened the window and turned the fan on to allow to dry. 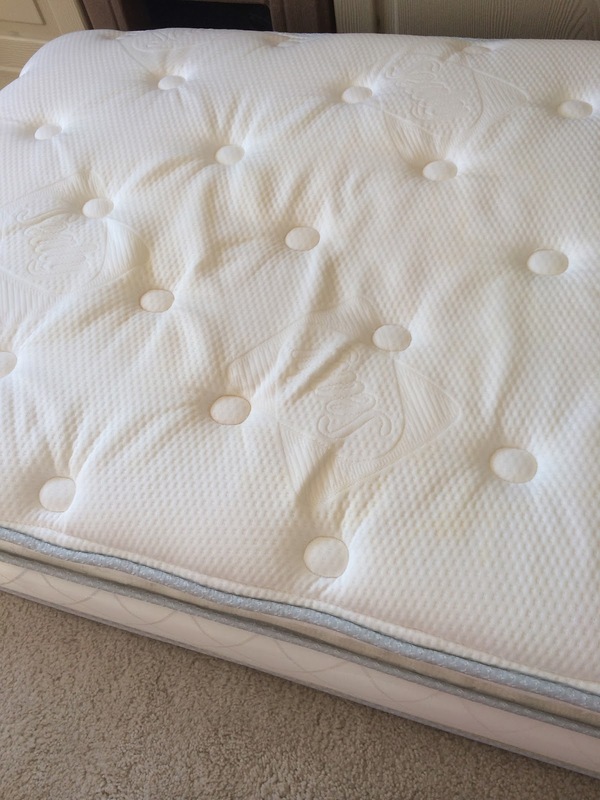 To prevent further stains find a mattress protector that is actually water proof… or cut open a garbage bag and place it underneath a regular mattress pad cover. I'm glad I stumbled across your blog today. I have a co-worker who complains about this same problem often and I can't wait to share your post with her. Thanks for the tip. 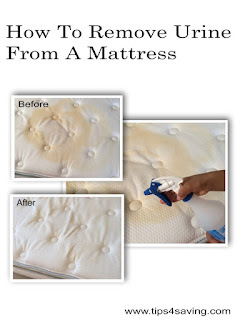 Like the article says, BUY A WATERPROOF MATTRESS PROTECTOR! A company called Protect A Bed makes the best ones out there. You can find them on Amazon.